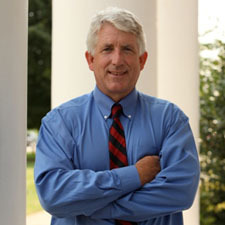 In a letter sent this morning to the State Council of Higher Education for Virginia (SCHEV), the presidents of Virginia’s colleges and universities, and the chancellor of the Virginia Community College System, attorney general Mark R. Herring advised that, under current Virginia law, Virginia students who are lawfully present in the United States under the Deferred Action for Childhood Arrivals (DACA) program qualify for in-state tuition, provided they meet Virginia’s domicile requirements. These students, often called “DREAMers,” will still need to gain admission to an institution of higher education, maintain their DACA status, and meet the same domicile requirements as all other students, but the attorney general has concluded that state law allows the Commonwealth to offer these young people in-state tuition rates that will help them reach their full potential and maximize their contributions to Virginia’s economy, instead of minimizing their opportunities. Nineteen states, including Texas, New Mexico, California, and Oklahoma have enacted some form of tuition equity at their public colleges and universities, speaking to its importance as an economic and competitiveness issue. For example, Maryland has seen an increase in graduation rates among Latino students since enacting tuition equity and state officials believe it is because students who may have once dropped out are now completing high school because they see realistic options for continuing education. As of December 2013, approximately 8,100 young people in Virginia have had their applications for DACA approved. In order to qualify for in-state tuition, these Virginia students will have to satisfy several requirements. First, he or she must first be approved for DACA status, a process which sets rigorous standards to identify young people who arrived as children, had no say in their arrival process, and are now Virginians for all practical purposes. These qualifications include age of arrival, length of residency in the United States, and important indicators of civic engagement, such as no criminal record, enrollment in school or graduation from a high school, receipt of a GED, or honorable discharge from the U.S. Military. Nationally, approximately 75% of DACA applicants have resided in the United States for more than ten years and one-third were age five or younger at arrival. Finally, all Virginia students, including DACA students, must prove they meet the Commonwealth’s standard of Virginia domicile, generally established by meeting criteria including, but not limited to, continuous residence in Virginia for at least one year, intent to remain in Virginia indefinitely, paying Virginia state income taxes, receipt of a driver’s license, employment in Virginia, ownership of property, or registration of a motor vehicle in Virginia. This interpretation of the eligibility of DACA students for in-state tuition is similar to guidance given to public colleges and universities by then-attorney general Bob McDonnell who advised that in-state tuition may be extended to persons in the United States under “Temporary Protected Status,” granted by U.S. Citizenship and Immigration Services to those who cannot safely return to their nation of origin. “The importance of today’s decision regarding in-state tuition qualification for those eligible for Deferred Action for Childhood Arrivals (DACA) extends far beyond those who are immediately impacted,” said Dr. Robert G. Templin, president of Northern Virginia Community College. “It is a signal to all New Americans who live in Virginia that our state recognizes the importance of developing their talent for the benefit of all of Virginia, and values their potential contribution to our collective future.